I don’t have my typical amount of travel lined up this summer because I wanted to be home to provide Kaweah with a stable, happy routine. In the spring, a few medical issues cropped up for her and our travel schedule seemed to exacerbate her condition. Now that I’ve been home for a bit, she’s doing well – really well. She’s super waggy and playful and pretty much back to her old self (read that as herself, but old). 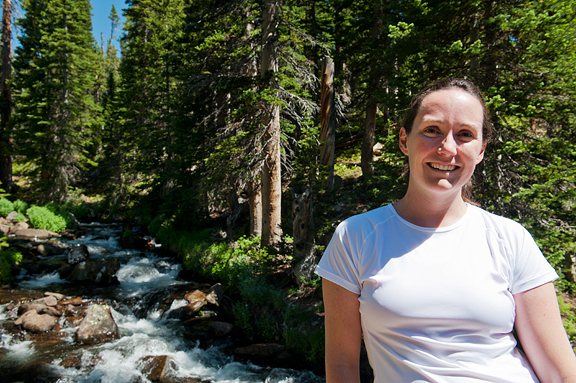 Another upside to sticking around is that I’m able to get outside into the Colorado that I love on a regular basis. The past several days have been brutally hot – hitting triple digits down in Denver and on the surrounding flats. Up here in the mountains, we popped over 80°F, which is borderline unbearable for me. Luckily… gleefully… we were granted a welcome cooldown on the first day of summer. It just so happened that Erin and I had planned a hike for that morning. It was deliciously cool at the alpine lake and we were both so very very happy. We popped by Tin Shed Sports in Nederland for lunch. It’s the new game in town: a pro bike/ski shop run jointly with Salto Coffee Works where you can grab a bite, brew, glass of wine and hang out on the patio with a glorious view of the mountains. Kaweah didn’t go hiking with us because she’s no longer strong enough to power up the trails anymore. But she gets her evening walkies in, and this time she met a new little puppy friend who is in training to become a guide dog. She loves puppies, especially when they are behind a fence and can’t jump on her head and chew her ears with their sharp puppy teeth. I’m glad I took advantage of the cooler weather, because the mercury is on its way up again. We have quite a bit of entertaining lined up at the House of Butter. With warmer temperatures, I’m planning a lot of salads. So when I was flipping through a new cookbook that my friend, Alice, of Savory Sweet Life authored, I considered several of her beautiful, quick and easy recipes. I did a double take on one salad in particular. That salad is a perfect representation of her blog name too – because it is both savory AND sweet. And it’s phenomenal. 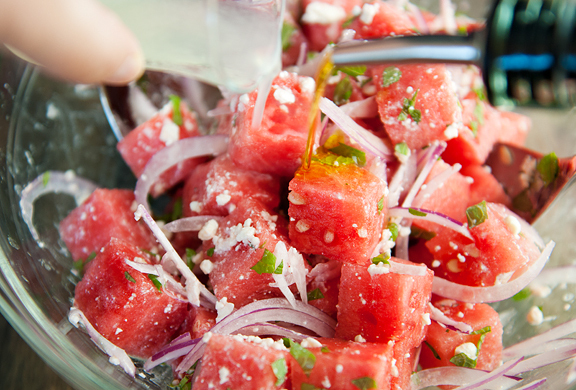 Watermelon, feta cheese, onions, mint, lime juice, and olive oil. 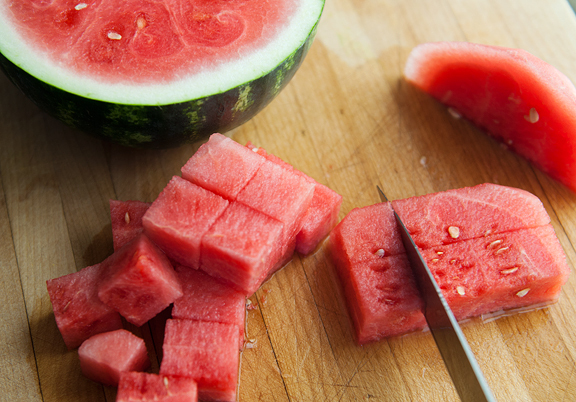 I love me some watermelon in summer. On those blistering hot days of summer, it’s all I want to eat. Now, before you think, “What a strange combination!” I urge you to try it first. I made a half recipe and proceeded to eat it all. Additional bonus points: it takes mere minutes to prep the ingredients. 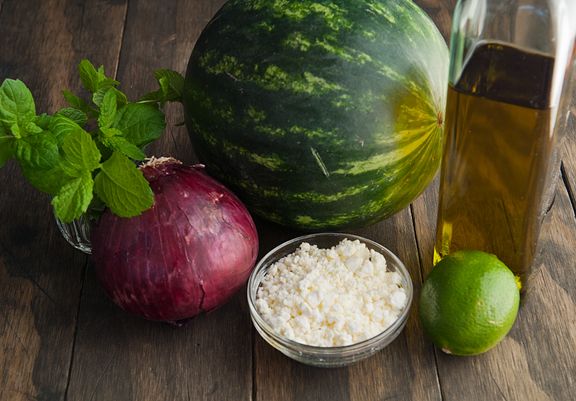 Let’s see: cube the watermelon, chop some mint, slice onions, crumble feta, squeeze limes, grab some olive oil. Then it is even less time to assemble because you put everything in a big bowl and toss it together. 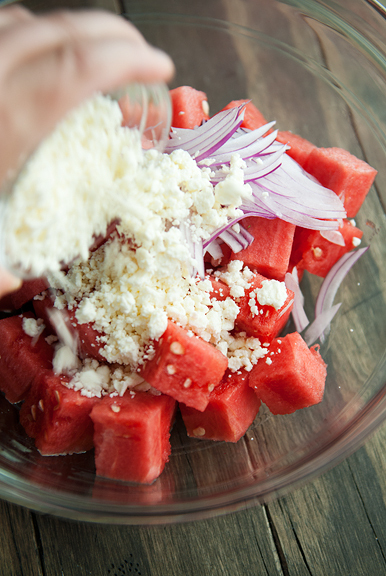 And there you have a watermelon feta salad that is all sorts of wonderful. 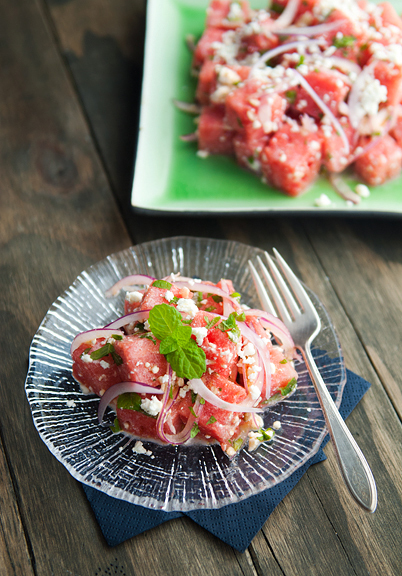 The overall texture is dominated by the sweet watermelon, but you get nice crunchy slivers of onion mixed in with the creamy nibbles of salty feta. Just a (good) bit of advice from Alice: if you want to prepare the salad ahead of time, prep the ingredients early, but mix them just before serving or else the feta dissolves and that’s no fun. But really, don’t knock it before you try it because this salad is simply wonderful for summer and I am so very happy to have found it. Thanks, Alice!! but it’s a good start! 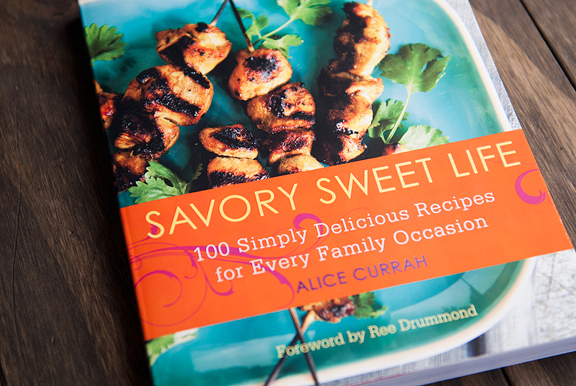 Full Disclosure: I received a free review copy of Savory Sweet Life from the publisher with no obligation on my part. The opinions expressed here are most definitely my own. 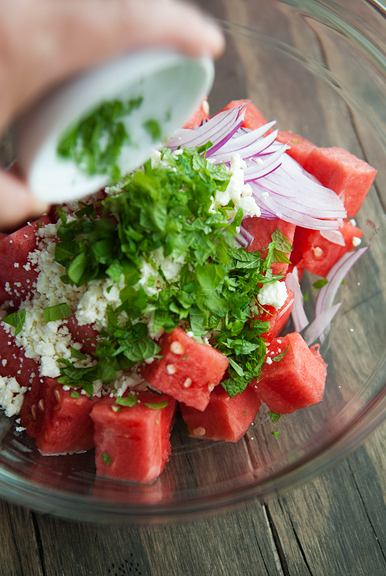 Place the watermelon, feta, red onion, and mint in a large bowl. 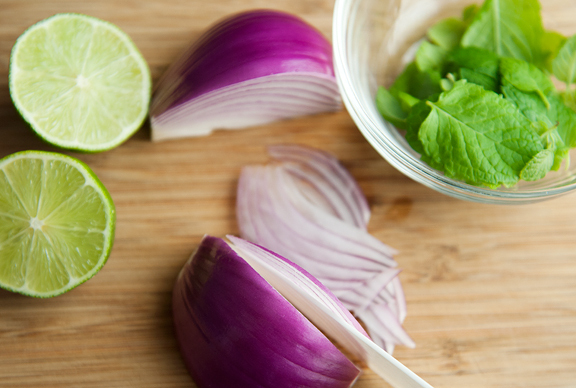 Pour the lime juice and olive oil over the ingredients and gently toss to mix. Serve immediately. If not serving immediately, you can toss everything but the feta cheese together, then sprinkle the feta over the top before serving. Serves 6-8 people (good luck with that – more likely it serves 3-4, it’s THAT good). This recipe is eerily similar to Nigella Lawson’s watermelon feta salad recipe that I discovered back in 2006. The only difference is olives. See below. Recipe from Nigella Lawson that originally aired in 2006 and she updated her website with this recipe in 2011. If you like the recipe you posted above, try Nigella’s. 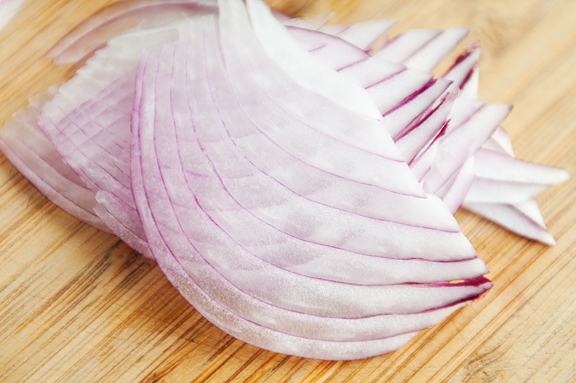 By marinating the red onions in lime juice, it mellows out the red onions. Too funny, I just bought a watermelon and feta yesterday, but the version I make uses basil instead of mint and balsamic vinegar. Sooooo good! So strange. I was going to make watermelon and feta salad this weekend after a trip to Whole Foods. Now seeing your post, I know that I MUST make it! 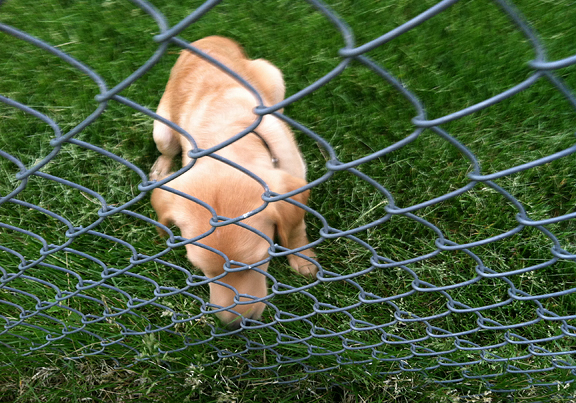 I loved your comment about puppies jumping up at Kaweah, Violet runs away from puppies now for that exact reason! Perfect for the blistering hot we’re having here in the Northeast! I do my watermelon salad the Nigella Way, with olives, and go a step further towards savory: I use good sherry vinegar instead of lime juice. 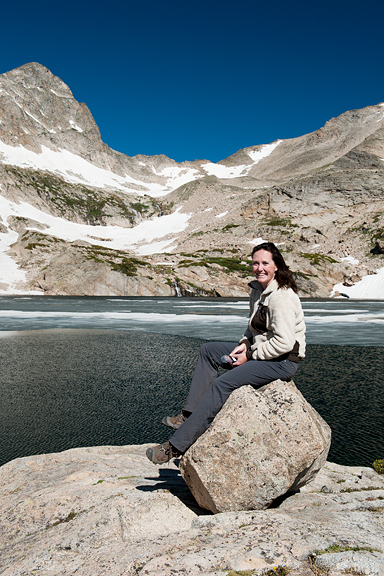 Just wondering where you went on this hike, that alpine lake is gorgeous and we are heading out to the Boulder area again soon from Chicago, so any help is appreciated when it comes to where to go hiking. BTW I love reading about Kaweah, always touching. My heart melted when you said you curtailed travel to provide kaweah stability…Mahalo for your awesome website and sharing Colorado, your fabulous recipes. Aloha from Honolulu Hawaii. That looks great. Since we’ll be returning to 96 degree temps in SLC (no a/c at our house! ), I suspect this will be lunch next week. Beautiful salad! I’ll definitely be trying it, and loving it, no doubt. Give my favorite black lab and hug and a kiss. Aging ain’t fun, but it is necessary. I can relate to not having as much ‘umph’ in my step. I know you are the best mama in the whole world to Miss K.
Kudo’s to the soul that is training the yellow pup; I have a friend that is working with her second success story. AMAZING! I LOVE WATERMELON! 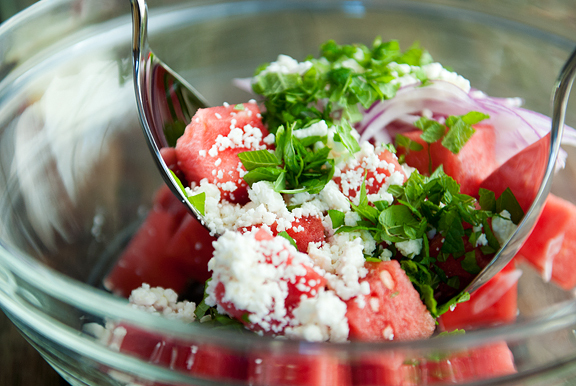 I may substitute something for feta (just can’t acquire that taste)….it looks so refreshing! S – I think there are SEVERAL recipes out there for some variation on this salad. I’m sure they’re all fabulous! Lynn – mmm, sounds great too! Pru – yes, puppy teeth are SOOOO sharp! I forgot how it was until my shooting partner got a puppy this spring, and that little guy has super sharp toofies! GG – thanks for the tip, I’ll have to try it! 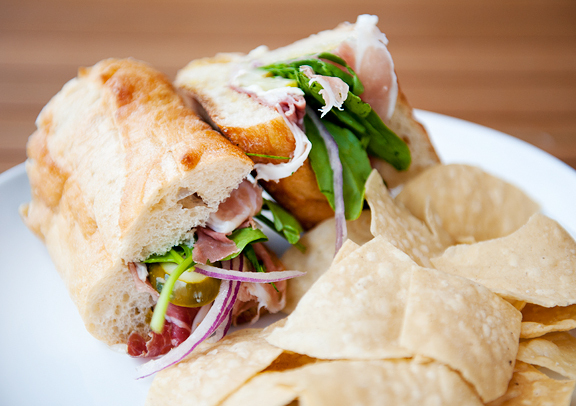 Jill – the nice thing about the feta is the saltiness, but I’m sure anything you sub will be nice. 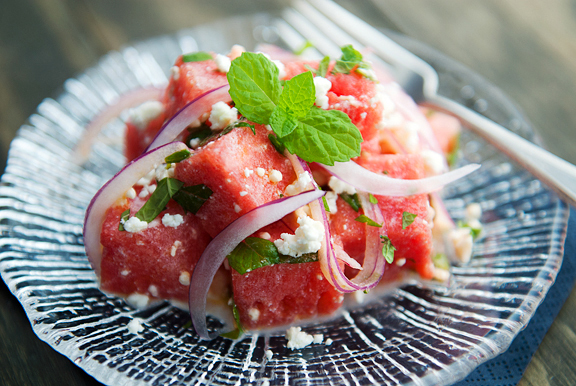 I like that I’m on the watermelon feta salad post. loves! I tried this 2 days ago and it was a big hit. The summer here in Berlin can get very hot and it was just the right kind of salad to not feel too full and still satiesfied. I found super sweet watermelon, the tastiest wild mint I found, threw in some pumpkin seeds – and it’s pure bliss. Thank you!! !